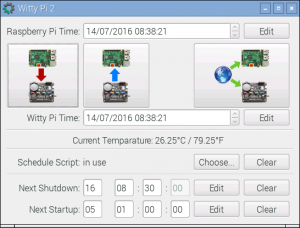 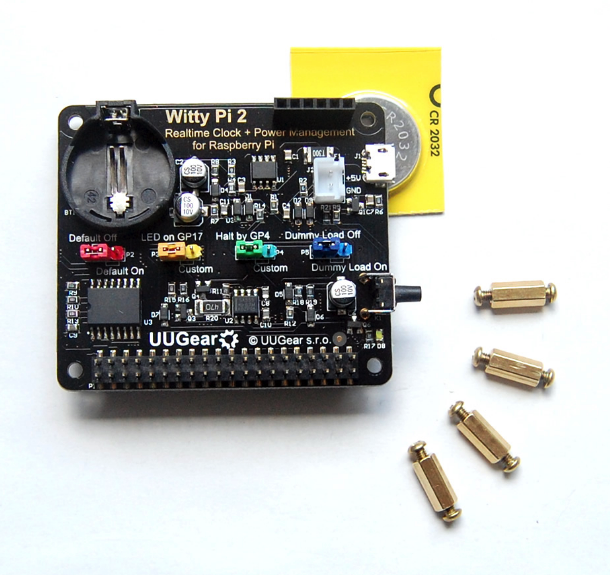 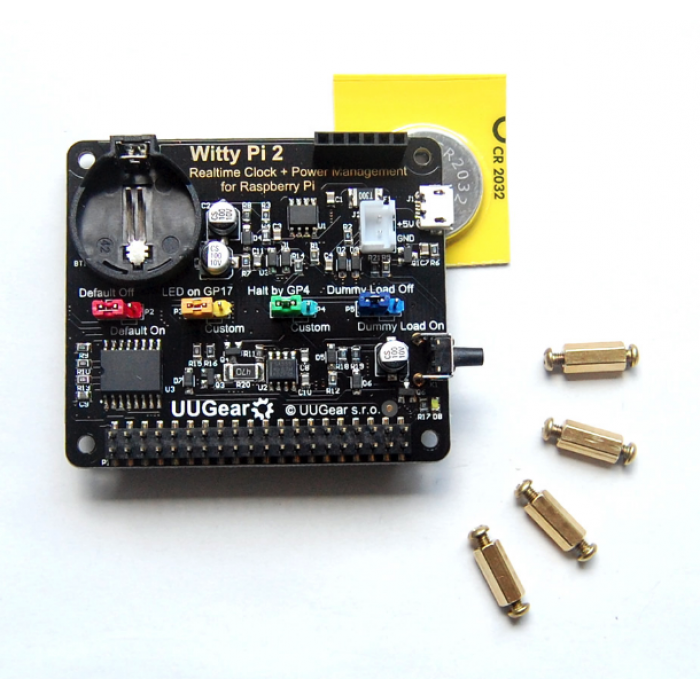 Witty Pi 2 is the new generation of Witty Pi, which adds RTC and power management to your Raspberry Pi, and can define complex ON/OFF sequence with simple script. 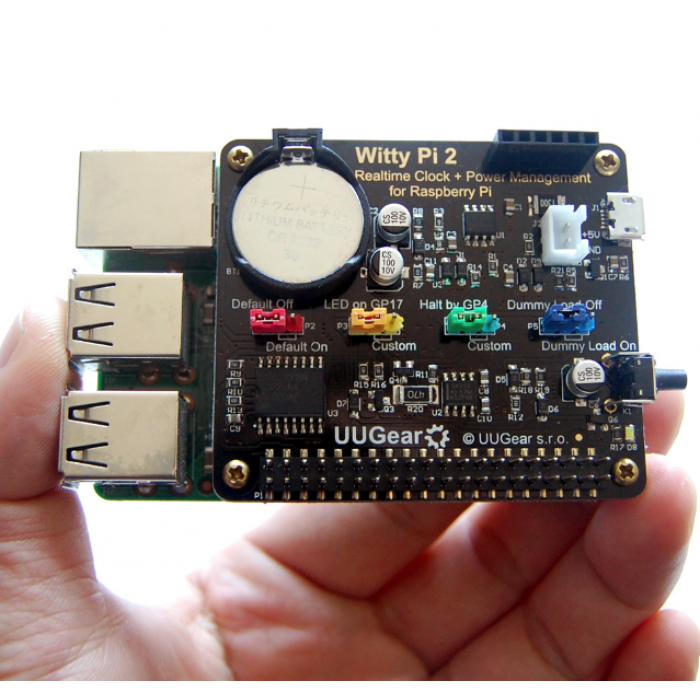 Witty Pi 2 supports all Raspberry Pi models with 40-pin header, including A+, B+, 2B, Zero and 3B. 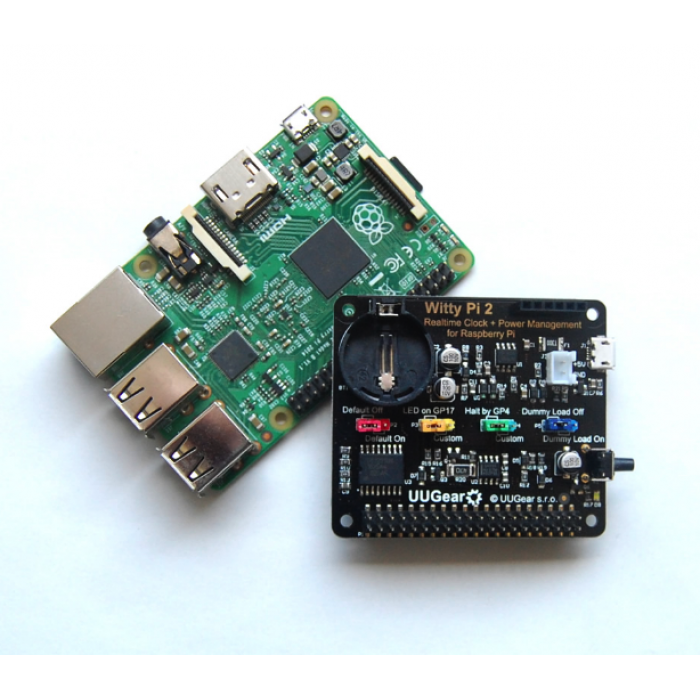 Raspberry Pi Bundle 1 Latest - Raspberry Pi Model 3 B + + USB Power cable with in-line ..
Raspberry Pi Bundle 2 Raspberry Pi Model 3 B+ + Power Supply 2.5 Amp wi..
Raspberry PI Board - 2 Model B 1Gb Ram, 900 Mhz Quad CoreOrder NOW for shipping within 24.. 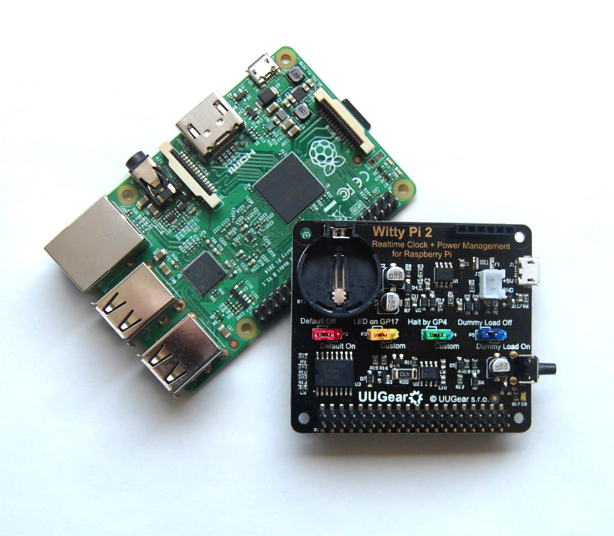 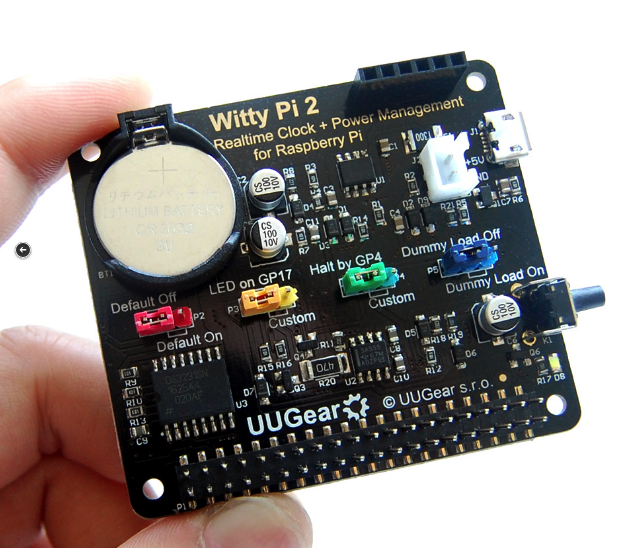 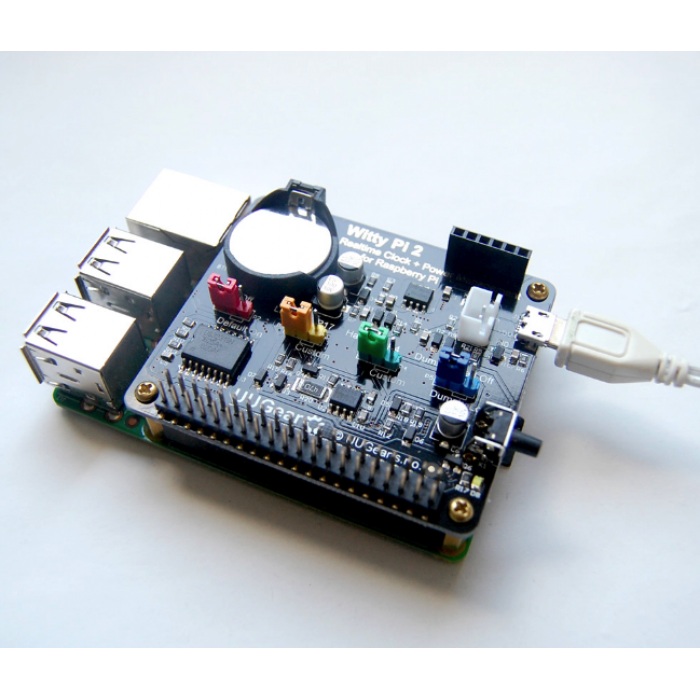 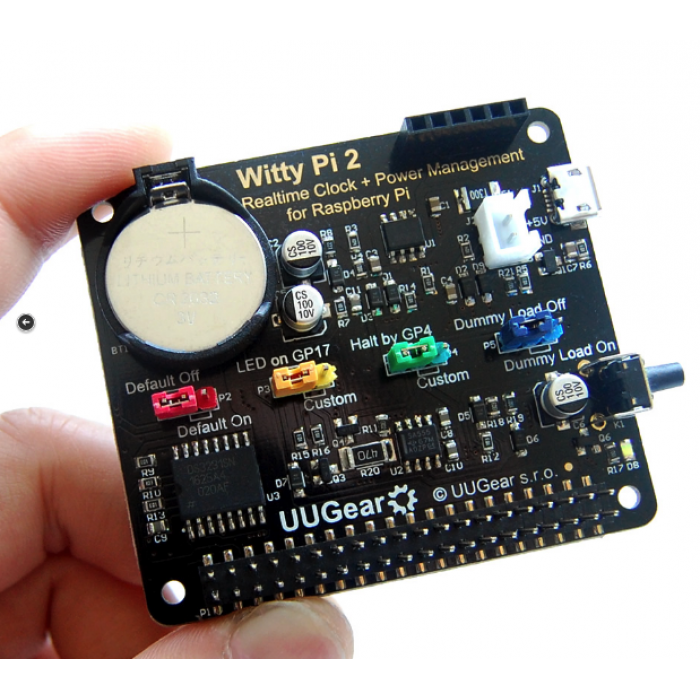 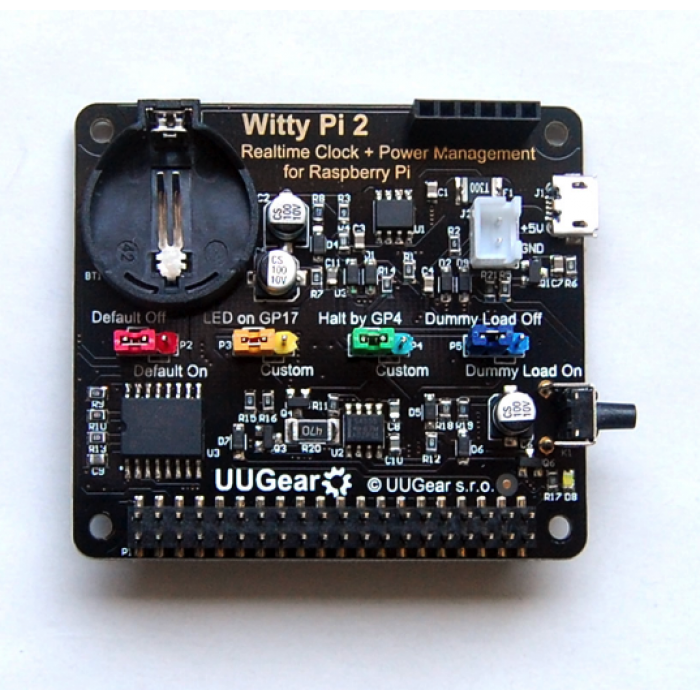 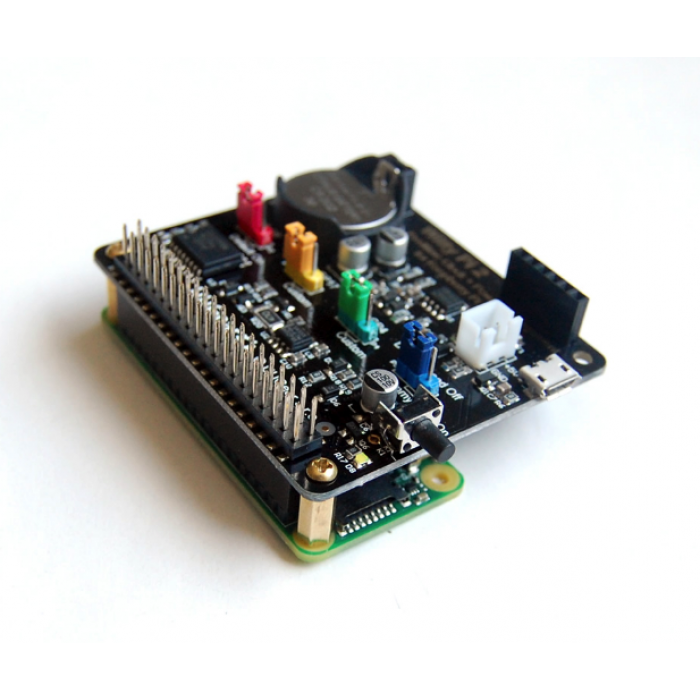 Witty Pi Mini - REALTIME CLOCK AND POWER MANAGEMENT FOR RASPBERRY PIPRODUCT DESCRIPTION.. 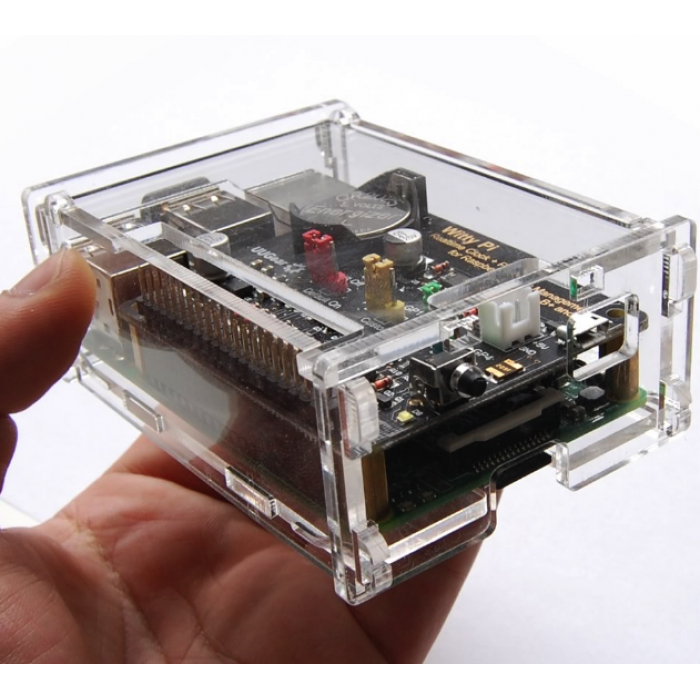 Witty Pi Case - ClearPRODUCT DESCRIPTIONThis case is composed 6 pieces of clear acrylic ..